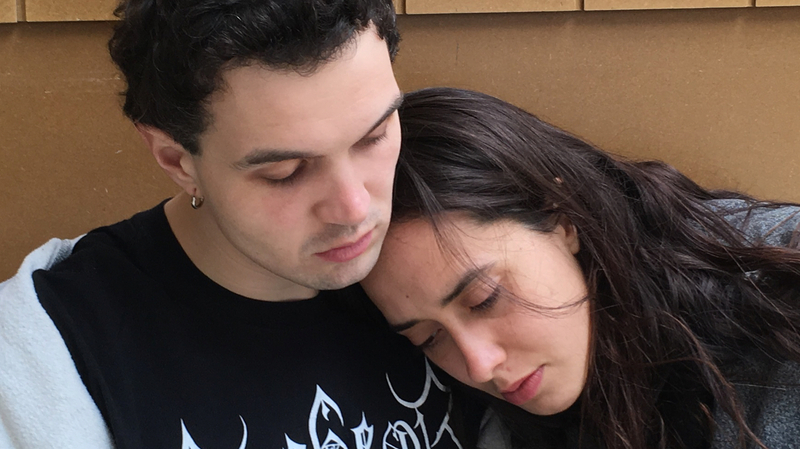 Since their debut in 2014 with Tant qu’il nous reste des fusils à pompe, the duo of filmmakers Jonathan Vinel and Caroline Poggi has never stopped filming compulsively and has been acclaimed, both by critics and public. From this key film on, their references/obsessions have remained and unfolded into more inventive and modern narratives: the group phenomena, mostly male, in which women appear as strong characters, saving characters and fragile men in their brutality; computer games and the internet that serve as “springs” of history to position it, revive it or just pause it; bucolic landscapes with latent violence creating a supra-real universe, aided by special effects, which make sense and help create distortions of a fully constructed reality; the music composed by Vinel and other friends, alternated with classical composers, set the mood to all the stories and appear in the most unusual moments and also, why not, in the most appropriate. It is very interesting to notice that in a very short time the duo repositions the traditional French cinema in a contemporary posture which could have evolved into that of contemporary American cinema. But as this cinema leaves the “crutches” of special effects and violence for superhero stories, here they are used as tools for its own story. So it sometimes seems that we will start hearing people speaking English and all of a sudden we hear the French language, majestic, running us over. The shorts following Tant qu’il nous reste des fusils à pompe, both as a duo and individually, Chiens, Notre Heritage, Martin Pleure and After School Knife Fight, which made a brilliant circuit of film festivals, where they drew attention for their originality, irreverence, talent and contemporaneity, are a kind of unfolding of themes from the beginning, but always with an improvement, with productions increasingly complex, costly and daring. This could only lead to Caroline’s debut feature, Jessica Forever, which will be one of the titles of the IndieLisboa 2019 International Competition and which should have premiered at the Cannes festival, as one of the most important works of 2018. It ended up premiering at the Toronto Festival and then Berlin (Panorama section) and since we’ve confirmed what we’ve already known for a while. They are the artists of the moment, those who produce more contemporary thinking, those who understand the times we live in, and reproduce them in impeccably accomplished and produced films. It has been a long time since we felt such strength and irreverence in French cinema, European cinema and world cinema. This duo is not just a fashion phenomenon, it’s the new definition of cinema, which reflects our time and what will again get viewers into film theaters, the computer and our head. It is in this sense that IndieLisboa decided that the Silvestre Focus of 2019 should be about their work. The retrospective is integral (films made as a duo and individually) and there will be a gaming performance that will be the peak moment of this focus. Once again, in the way of originality, the carte blanche proposed to the filmmakers, which normally serves to designate an influencing film, there will be a special cross-over show, with computer games, music and cinema. Where has this been written before?